New York may be the city that doesn't sleep, but Las Vegas is a vampire. "Sleep all day, party all night" as The Lost Boys movie tagline says. The flashing lights and pervasive mega-music festival of Fremont Street pull everyone in for a slam dance of fast action. They pile onto the inner road where no cars are allowed, pulse against each other like it's a mosh pit, drink a little (or a lot) too much, get wild and frantic and... then they sleep. They sleep all morning, past noon, wallowing in hungover self-pity, grab a quick bite at a cheap buffet, and get ready to do it all over again. Every night, the names are different, but the game's always the same. Cliche doesn't ring true -- what happens in Vegas definitely does NOT stay in Vegas. Trust me, I know. I've been there eight times, and I love every minute of it. But I come back home with the three hour time difference, unable to sleep at night because I'm still hard-wired to be up partying, and feeling like a train wreck throughout the day because it feels as though I've never slept in my life. Ever. After a week in Vegas, you don't feel the heat. Even when you stumble out of an arctic, air-conditioned casino onto the sun-filled Strip and head back into the next one (which looks like it's fifty feet away but, in reality, is at least a half mile.) You start to become numb to the clanging, excited drone of slot machines and it becomes white noise every time you enter a new building (casinos, yes, but bars, gas stations, and even grocery stores have them.) You begin to know your way around the crowd. You notice which people are paying attention and which are too involved in their penny slot venture to get rich quick to even realize they ran into you. And after two weeks, you look up. There are mountains. There's a desert. There are palm trees. There is a magical beauty to this town that most people never encounter because they're too absorbed in the myth. What happens here is much better when you have your own experiences, not the television and movie kind. What happens here is something that doesn't stay here. What happens here goes back with you to your 'home' and stays with you forever in your heart. What happens in Vegas has the potential to change your life. People keep asking us why we love it so much. Why on earth we would want to move there as we've always said. What could we possibly do in Las Vegas for more than three days which is the average amount of time our friends stay when they go. The only answer I can give them is that it's the most beautiful place we've been. Have you ever wondered what makes something beautiful? Is it true that beauty is in the eye of the beholder? Of course it's true. When I fly into Las Vegas (preferably at night), I have the most joyful giddiness in my heart. All of the potential of what's going to happen for the week. Not gambling and getting drunk and losing all my money. That's the myth. That's the TV and movie experience. I mean the lights and the sounds and the people, the desert and the palm trees and the mountains, the sky and the weather and the desperate need of so many people just to be seen. To be heard. To be loved. There are more than 500 churches in Las Vegas, of all denominations. There are mosques and temples and places of worship both within and outside of the city limits. And people can go TO church, and that's all fine and good. You can stop there and get your weekly fix of what you feel is 'good' and then go back into Sin City and revel in it for six more days, if that's what you want to do. You wouldn't be the first. But the real difference isn't made inside of a building, as it's NEVER made inside of a building. It's made on the streets, it's made one-on-one, it's made by people who care and who love, whether or not they identify as Christians. My best friend is an absolutely amazing woman I've known since I was in second grade. She has the biggest heart of anyone I've ever met. She is humble and compassionate and loving and agnostic. She has a great dislike of religion and believe me when I say, I don't blame her. I have the same dislike. There's nothing good about hypocrisy, about doing something for a reward, about doing something for show. The Big Guy railed on that all throughout His own ministry in the gospels. But Jesus also had more in common with my best friend than most Christians I know. Each week, my best friend goes to the store, buys bread and sandwich items, fruit, cookies, bottled water, ice... she and her boyfriend painstakingly make as many sandwiches as they can, pack lunches in brown paper bags they purchased, put waters in a cooler of ice, and hand deliver at least 40 lunches to homeless people in town. They don't do this because anyone told them to. They're not a part of some church group that goes to preach about Jesus and also feeds people to lure them in. (However, they have encountered these groups, who are somewhat territorial about THEIR homeless people that THEY feed so THEY can teach them about Jesus...). No, my friends do this because they love people. They just love them. They care about them. Incredibly, my agnostic friend and her boyfriend are two of the most Christian people I know. "I give you a new commandment: that you LOVE ONE ANOTHER. Just as I have loved you, so you, too, should LOVE ONE ANOTHER. By this, all men will know that you are my disciples: that you SHOW LOVE TO ONE ANOTHER." -John 13:34, 35 [emphasis mine]. Pretty mind-blowing, huh? Only 42 words, and he repeats the words LOVE ONE ANOTHER three times in there. Jesus is leaving His disciples with this consummate direction. All this time, He's been showing them what this love looks like: compassion, serving, forgiving, teaching. Humility, taking no glory, sharing what little He had, concern even for those among them that were the outcasts: children, lepers, demon possessed, prostitutes, tax collectors. Laying down His whole life for others, ultimately. And then He said, "BY THIS, people will know you are my disciples." We see people who call themselves Christians picketing and protesting, shouting and complaining about being persecuted, hollering at others, calling them sinners, condemning and judging. We see people who call themselves Christians slandering entire communities of people they deem different from themselves. We see people who call themselves Christians doing things simply for the glory and fame, and wielding their title like a weapon, taking verses from a book some of them haven't even read and using them to belittle and hurt others. So I ask you, is this what we're known for? Our overwhelming, far-reaching, humble and compassionate love? Our serving of others with no desire for credit or glory? Loving one another as Jesus loved us, as He commanded us to do? I was sixteen years old when I stood in front of the bathroom mirror, door locked behind me, and every bottle of pills in our family's medicine cabinet sitting on the sink in front of me. I had a glass of water and a more-than-heavy heart. My life had gotten to the point where I didn't want to see one more day. I couldn't shake the depression I'd been feeling for months. Pressure, stress, negativity, abandonment, deep self-loathing, too many changes I wasn't prepared to deal with, and an inability to figure a way out of the hole of desperation I'd been gradually sinking into left me stark white with dark rings beneath my eyes, and no real hope of a future I wanted to be a part of. Obviously, something changed my mind and I'm here today and that's a different story for a different time. 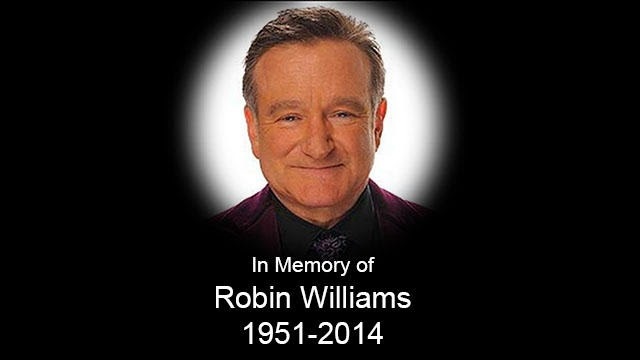 Robin Williams appears to have committed suicide yesterday, and the world has lost itself in commentary. I've heard deep loss and grief, I've heard prayers and condolences, I've heard snark and cynicism, I've heard judgment and condemnation, I've heard love and admiration, and I've heard, periodically, just a glimmer of understanding. There's a difference between sympathy and empathy. Sympathy is when you have experienced something yourself and can relate. Empathy is when you haven't, but you can feel some of what the person must be going through. If you've lost someone you love to suicide, you can relate to what the family is feeling. If you haven't, you may be able to empathize. Sympathy is 'feeling WITH'. Empathy is 'feeling INTO'. I have lost a few people to suicide. They were not extremely close to me, but their loss affected me nonetheless. And the same situation holds true, with all of the same condolences and judgments and prayers and condemnations. What is it about something so tragic that makes us feel so much, so many things? What a question, right? There is no right or wrong feeling here. Certainly love should always be the guiding factor, but we can't help what our heart cries out. We never can. We just have to ask ourselves how we would want someone to speak if it was our husband, our wife, our son, our daughter, our best friend who was in such a place of desperation and depression that they could see no other path for themselves but to end their own life. Do I believe in Heaven and Hell? Yes. Do I believe that suicidal people are condemned to Hell? Absolutely not. The bible says very clearly in 1 Samuel 16:7 that God doesn't see how humans see. 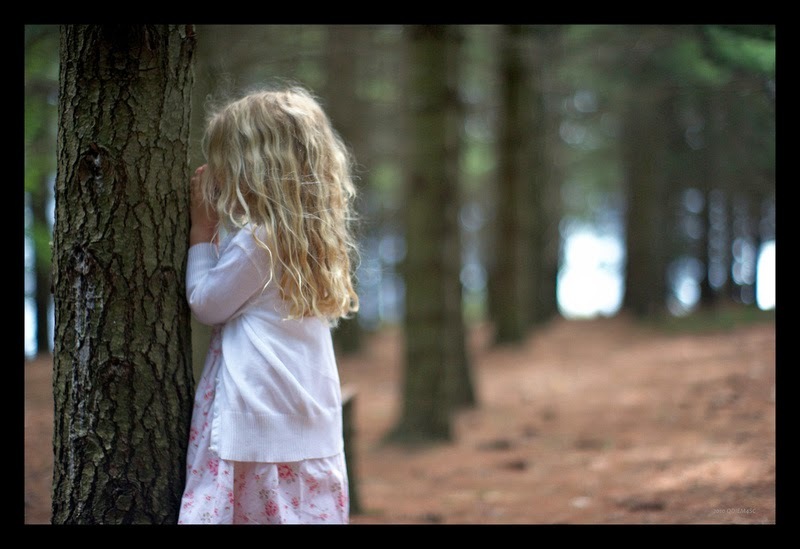 We look at what we see on the surface, but God looks so much deeper, into our hearts. We have a loving and kind Father, a Father who understands our feelings, who understands our desperation, who understands our hearts even when our fellow humans have nothing positive to say about us. The same Father that gave Robin Williams the comic genius that he had, the unparalleled acting talent, the improvisational skills, the infectious hilarity we all felt when we watched him... that Father SYMPATHIZES with whatever Robin was feeling when he was in that place of tormented desperation where he felt he needed to end his life. That Father sent His Son to die for Robin Williams just like He did for each and every one of us. And everyone knows John 3:16, but the next verse is just as important IF NOT MORE SO: "For God did not send His Son into the world to condemn the world, but to save the world through Him." Suicide is heartbreaking. Judgment is even more heartbreaking. Suicide is shocking. Condemnation is even more shocking. Suicide is sad. Cynicism is sadder. My dream -- my plea -- is that we spend less time talking and more time listening to each other. That we spend less time spouting off our ideas, our judgments, our criticisms and spend more time interacting on a positive, joyful level with everyone we come into contact with. That we empathize even when we might not be able to sympathize. And that we realize that our surface understanding of one another will never add up to the deep, thorough, complete understanding God has of our hearts and thoughts and souls. May Robin rest in peace, his family be comforted, and our social interactions with each other be filled with empathy and devoid of condemnation in this and every tragedy. 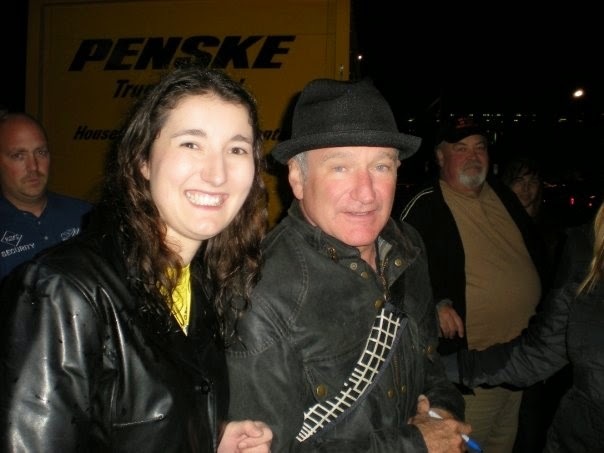 PS -- My husband and I had the pleasure of meeting Robin Williams after he performed locally several years ago, and he was humble, gentle, and greatly appreciative of his fans. I'll treasure that memory forever. And this cheesy, cheesy picture. I just came down from a weekend of Family Reunion recently. Dozens upon dozens of Hungarians all together in one place. Let me tell you a little something about Hungarians if you're not aware. We love to feed you. Food = love. If you've gained 85 pounds since your wedding day, you might have married a Hungarian. Let me tell you something else: we have tempers. We hop into a fiery rage in a split second, which isn't the greatest thing in the world, I'll admit. But we also are usually very quick to forgive and to love once again. When I was four years old, my older brother and sister and I shared one bedroom for a short time. My brother was pretty cool; he was eleven, and liked Pac-man, and played croquet with me. My sister was in a whole different realm, though. She was... wait for it... A TEENAGER! She got to go places! Do things! See boys! And, on one particular evening, she was out rollerskating, and I was in our bedroom looking for a toy, probably Hungry, Hungry Hippos, when my sister perpetrated the most horrendous act imaginable. She cut me to the core. My joy had been sabotaged! I screamed in pain and looked down at my foot where a pushpin from her bulletin board had inadvertently been left on the floor and was now protruding from my bleeding arch. After fixing the wound and soothing my sobs, my mother left me to my own devices which, for a rage-filled miniature Hungarian, might not have been the best choice. There was a great deal of silence while I hatched my plot. My mother walked in on me crouching in front of my sister's bed a while later. I had pulled all of her pushpins out of the bulletin board, and was lining them up, sharp side pointing toward the sky, in front of her bed. "WHAT are you doing?" Mom asked, appalled at my vindictive nature, certainly. Nonchalantly, I replied, "I want her to know what it feels like." Four years old, and already I'd had a taste of the bitterness of resentment. 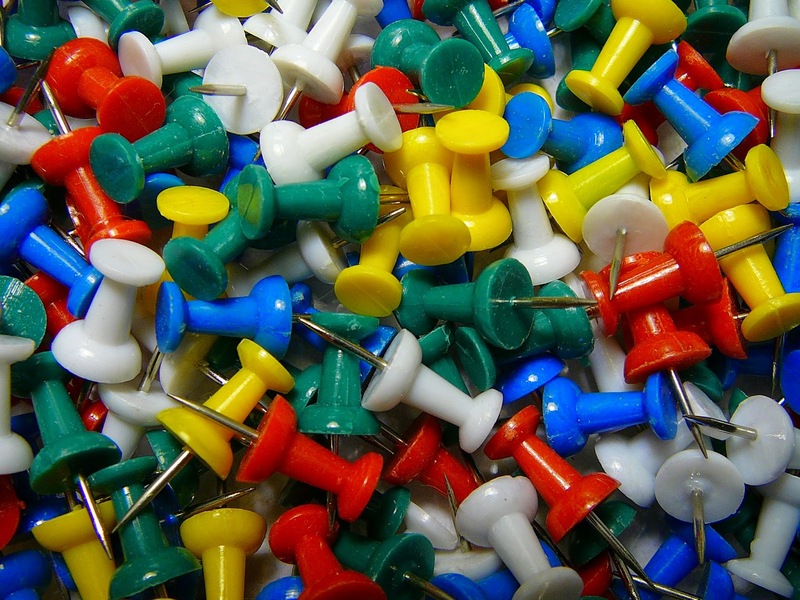 I wanted my suffering to be noticed, and wanted an eye for an eye, a pushpin for a pushpin. I was not going to be satisfied until the ground was equal. She needed to know what she'd done, and she needed to pay for it. Proverbs 12:14 says, "There is a way that appears to be right but, in the end, it leads to death." I gagged. I ran to the sink and spat, and began shoveling water into my mouth directly from the running faucet, unable to cleanse the awfulness from my taste buds. I never made that mistake again. But the funny thing is, even though I know how to avoid the taste of bitterness on my tongue, I still have a hard time leaving the shadows of bitterness out of my heart. Emotional bitterness can ruin friendships, end marriages, keep parents and children from speaking for decades. It takes very hard work in our hearts and our minds, but there is absolutely an antidote to the bitter pill of resentment. Proverbs 25:21-22 is a very interesting, yet very misunderstood passage written by Solomon, the wisest man to ever live. It says, "If your enemy is hungry, give him food. If he is thirsty, give him water. For in doing so, you will heap coals of fire on his head and the Lord will reward you." Whoa! That sounds pretty harsh! Like, 'Haha, you were mean and I was good and God loves me more, nyah nyah, doesn't that BURN?" Coals of fire on your enemy's head? Kind of goes against that whole 'Turn-the-Other-Cheek' thing that Jesus taught about, right? Nope. Not if you know your history. In the time of Solomon, the Israelites had the temple, the sacrifices, the Day of Atonement. During this, the priests would fill their censer with coals of fire and place incense inside, creating a pleasing aroma. The cloud of smoke would cover the Mercy Seat, and God would accept their offerings because of it. So this verse doesn't mean you're doing nice things for your enemy so you can make yourself look good, or make them look bad. It means you're, in essence, becoming the way for them to come back to God. You're giving them the tools necessary to be pleasing to God. You're covering their sins with your love (because "love covers a multitude of sins" [1 Peter 4:8]) and presenting them to God as an unblemished sacrifice. You're the example for them to follow in love and in forgiveness and in mercy. There's a great story in Matthew 18:21-35. We've all heard the whole 'forgive your brother 7 times 70 times' which is how it starts, but the rest of it is just as compelling. 30“But he refused. Instead, he went off and had the man thrown into prison until he could pay the debt.31When the other servants saw what had happened, they were outraged and went and told their master everything that had happened. 32“Then the master called the servant in. ‘You wicked servant,’ he said, ‘I canceled all that debt of yours because you begged me to. 33Shouldn’t you have had mercy on your fellow servant just as I had on you?’34In anger his master handed him over to the jailers to be tortured, until he should pay back all he owed. Every one of us is a sinner. The bible is clear that all have fallen short of the glory of God. We're all in the same boat, and baby, that boat's going down like the Titanic. But we're all forgiven through Christ Jesus who died for our sins. He is our shining example when people ask us how often we're supposed to forgive. How much did HE forgive? Well, in the midst of being murdered on a cross for crimes He didn't commit, being beaten and tortured and becoming the ultimate sacrifice so that we may live eternally, what did He pray? Did He pray against them, "Father, kill them, for they're hurting me for no reason!" Did He pray, "Father, strike them with lightning, for this is unjust!" No. He prayed for them. "Father, forgive them, for they know not what they do." How often is that true, do you think? It's been said that holding onto anger and refusing to forgive is like drinking poison and waiting for the other person to die. It burns inside of us. It makes us sick, drives us crazy, puts tremendous pressure and stress on our daily lives. Forgiveness doesn't mean you disregard what was done. It doesn't mean you invalidate the pain it caused you. Forgiveness is simply a release from the punishment. We no longer hold it against our enemy. Now, don't get me wrong, there are certainly cases in which we just have to do this from afar. If the offender is dangerous or if they have passed away, we can still forgive but not let them back into our life. There's no problem with that. Forgiveness doesn't mean it's okay for them to walk all over you or to hurt you again and again. It's just a response different from 'an eye for an eye', different from 'I'm going to put tacks around your bed so you can get hurt and know what it feels like'. Instead, we place the sweet-smelling incense and the coals of fire for atonement in their direction, pray for them to do what is right from now on, and pave the way for reconciliation. When we say the Lord's prayer, we remember that it's exactly what Jesus said when He was asked how we should pray. In it, one of the simplest phrases is, "Forgive us our trespasses as we forgive those two trespass against us." As freely as we accept God's forgiveness of us, we should be just as free to forgive others. Seven times, seven TIMES seventy times, it doesn't matter. It's a guideline to be forgiving because forgiveness and reconciliation is the entire reason for Jesus' existence. There is no other way for people to learn how to love and forgive than to BE loved and forgiven.